NASA’s Voyager 2 has become the second human-made object in history to reach the edge of the solar system, after the spacecraft exited the protective bubble of particles and magnetic fields created by the Sun, the agency announced. Its twin, Voyager 1, crossed this boundary in 2012, but Voyager 2 — launched 41 years ago — carries a working instrument that will provide first-of-its-kind observations of the nature of this gateway into interstellar space. Voyager 2 now is slightly more than 18 billion km from Earth, NASA said in a statement. 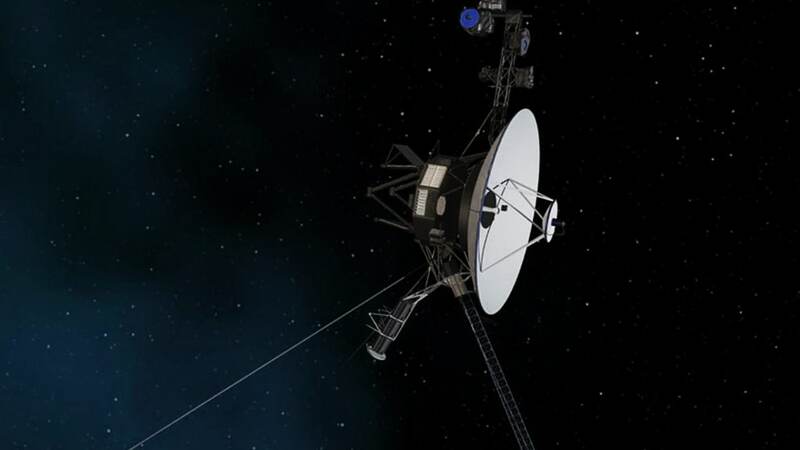 While the probes have left the heliosphere, Voyager 1 and Voyager 2 have not yet left the solar system, and won’t be leaving anytime soon, the US space agency said. Comparing data from different instruments aboard the trailblazing spacecraft, mission scientists determined the probe crossed the outer edge of the heliosphere on November 5. This boundary, called the heliopause, is where the tenuous, hot solar wind meets the cold, dense interstellar medium. Mission operators still can communicate with Voyager 2 as it enters this new phase of its journey, but information — moving at the speed of light — takes about 16.5 hours to travel from the spacecraft to Earth. By comparison, light travelling from the Sun takes about eight minutes to reach Earth. “Working on Voyager makes me feel like an explorer, because everything we’re seeing is new,” said John Richardson, principal investigator for the PLS instrument. “Even though Voyager 1 crossed the heliopause in 2012, it did so at a different place and a different time, and without the PLS data. So we’re still seeing things that no one has seen before,” said Richardson, a principal research scientist at the Massachusetts Institute of Technology (MIT) in the US. In addition to the plasma data, Voyager’s science team members have seen evidence from three other onboard instruments — the cosmic ray subsystem, the low energy charged particle instrument and the magnetometer — consistent with the conclusion that Voyager 2 has crossed the heliopause. “There is still a lot to learn about the region of interstellar space immediately beyond the heliopause,” said Ed Stone, Voyager project scientist based at Caltech in the US. 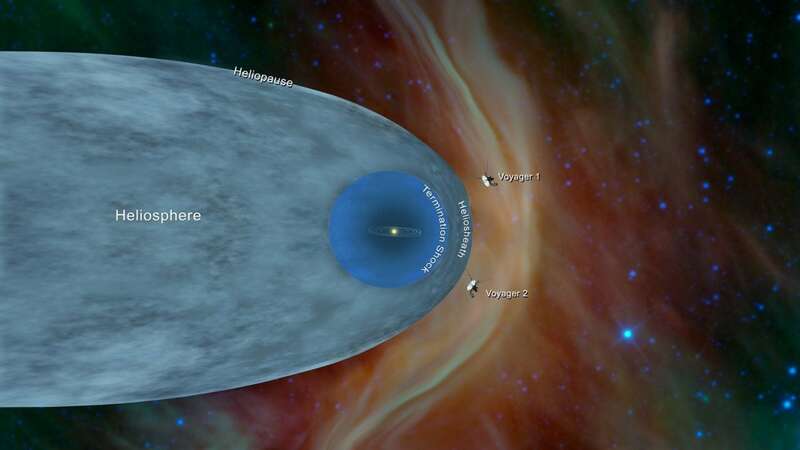 Together, the two Voyagers provide a detailed glimpse of how our heliosphere interacts with the constant interstellar wind flowing from beyond. Their observations complement data from NASA’s Interstellar Boundary Explorer (IBEX), a mission that is remotely sensing that boundary. NASA also is preparing an additional mission — the upcoming Interstellar Mapping and Acceleration Probe (IMAP), due to launch in 2024 — to capitalise on the Voyagers’ observations. Voyager 2 launched in 1977, 16 days before Voyager 1, and both have travelled well beyond their original destinations. The spacecraft were built to last five years and conduct close-up studies of Jupiter and Saturn. However, as the mission continued, additional flybys of the two outermost giant planets, Uranus and Neptune, proved possible. As the spacecraft flew across the solar system, remote-control reprogramming was used to endow the Voyagers with greater capabilities than they possessed when they left Earth. Their five-year lifespans have stretched to 41 years, making Voyager 2 NASA’s longest-running-mission.